Below is a list of frequently asked questions and corresponding answers for the GR II digital cameras. The following accessories are providing with this camera. You can use the optional HDMI Cable (HC-1) or a commercially available micro HDMI cable (type D) to connect to and play back recorded images or movies on a TV screen or other AV device. What is the material of camera body. Does the camera have an optical viewfinder? The camera itself does not have a built-in optical viewfinder. However, there is a dedicated external optical viewfinder GV-1 and GV-2 available. No. However, there is a Crop function that can be set at 35mm or 47mm from original 28mm. What is a [Crop] function ? Select [Crop] at the shooting menu. Choose [35mm] or [47mm], then the angle of view will change from original [28mm] to [35mm] or [47mm] and also display will change accordingly. There are some restrictions for Picture format and size depends on a [Crop] setting. [35mm]: [L] size cannot select. [47mm]: [L] and [M] size cannot select. * If you set [28/35mm] or [28/35/47mm] for Fn1/Fn2/Effect button, then you can switch angle of view accordingly by pressing each button. Is there any function to reduce camera shake? What is the recording format? What is the RAW image development ? In the Playback Mode, you can convert RAW images into JPEG format and then save them as new files. At the Playback setting Menu, select [RAW Development] to save the JPEG image. The setting that were set at the time of shooting are initially selected. And in no way constitutes a guarantee to customers that the product is suited to their requirements. * If saving movie images, using a Class 6 or faster SD (SDHC) Memory Card. It gives no noticeable improvement in the continuous shooting speed but faster SD (SDHC) Memory card is recommended. * The GRll has 54MB built in memory. * We don’t support more than 256GB SDXC card. Can the UHS memory card be used? Yes It can be used UHS-I SD (SDHC, SDXC) card. Can the Micro SD (SDHC, SDXC) memory card be used? No guarantee of proper operation with SD card adapter. Please use SD (SDHC, SDXC) card. When using SD (SDHC) Memory Cards, what should I do first? Card that are unused or that have been used on other devices, such as another camera or a computer, must first be formatted on the GR II. * Please note that formatting will delete any data recorded on the card. * When using a new Eye-fi card, copy the install file of Eye-Fi Manager stored on the card to your computer before you format the card. What kind of battery does the camera use? The rechargeable lithium-ion battery DB-65 only. The DB-60 or dry cell can't be used for GR II. How long can the rechargeable lithium-ion battery DB-65 be used for? * The number of still images shot is measured in conditions that comply with CIPA standards. * The playback time, movie recording time and audio recording time are based on the result of in-house testing. It is result of a measurement and not guarantee for using time and number of still images. * Note: CIPA standards are standards formulated by the Camera and Imaging Products Association. How to charge the rechargeable battery DB-65? * Also you can charge the battery by PC with USB cable. The charging time approx. 5 hours. * Remove the battery from camera and charge it with the Battery Charger(BJ-6). The charging time approx. 2.5 hours. Can rechargeable battery DB-60 be used to GR II? No. Use the rechargeable battery DB-65 only. Can dry battery be used to GR II? 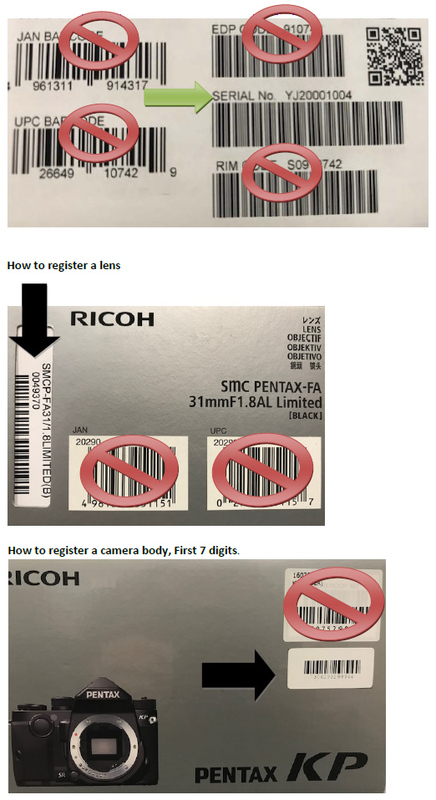 When the battery is removed, how long is the date set in the camera retained? And does the internal clock keep running? Once a new battery has been loaded and left in the camera for at least 1 day, data in the camera remains backed up for approximately 5 days when the battery is removed. The clock also continues to run while the data is backed up. * It is result of a measurement and not guarantee for back up time. How to operate the Macro mode. If you set Macro Mode by pressing the Macro button, you can shoot the subject as close as approx. 10cm (shooting range: approx. 12x8cm) away from the front edge of the lens. If you press Macro button once again, Macro mode will be cancelled. * At the Auto shooting mode, Auto Macro is set and the Macro button is invalid. Can GR II take black and white image? Yes. There is [Effect] in shooting set menu, you can choose [Black & White], [B&W (TE)] or [Hi-Contrast B&W]. [B&W (TE)]: Adds tint to black and white image. What is the [Dynamic Range Compensation]? You can expand an image gradation to make the bright and dark portions of an image clearly visible. You can select from [Off], [Auto], [Weak], [Medium] and [Strong]. When dynamic range compensation is set, available ISO sensitivity is limited. • If dynamic range compensation is set, the [Auto-Hi] setting of the ISO sensitivity works as [Auto]. • When [ISO Setting] is set to [Auto], shooting may be performed with a lower ISO sensitivity than the minimum sensitivity listed above depending on the shooting conditions. • When [Dynamic Range Compensation] is set to [Strong], noise tends to occur more easily in images. • [Dynamic Range Compensation] cannot be set in the following cases. • When the shooting location is too bright or too dark, dynamic range compensation may not be effective. • When using dynamic range compensation, it is recommended to set [Exposure Metering] of the [Shooting] menu to [Multi]. What is the [Aperture Preview]? You can check the depth of field before shooting the image. • When [Effect Button Hold Setting] of the [Key Custom Options] menu is set to [Aperture Preview], the Aperture preview is available using the [Effect] button. If you press and hold [Effect] button when the aperture value is displayed on the shooting screen (such as when the shutter release button is pressed halfway), the aperture value set when shooting operates, and you can check the depth of field. When you release the [Effect button], the Aperture Preview mode is canceled. To turn on/off the Wi-Fi function. In this case the Aperture Preview is not available. • In the Aperture Preview mode, the shutter release button cannot be pressed fully, and the aperture value cannot be changed. • Because the Aperture Preview is used for checking the depth of field, it may not function properly with AE. What is the function of [AF Button]? AEL/AFL: AE lock or AF lock is available in place of pressing the shutter release button halfway. C-AF: While the AF button is pressed, "Continuous AF" which continuously focuses on the subject will be active, regardless of the [Focus] setting. What is the function of [Interval Shooting]? The camera takes pictures automatically at fixed intervals and number of pictures. In the [Shooting] menu, select [Interval Shooting] and you can set the shooting interval from 1 second, 2 seconds or between 5 seconds and 60 minutes (in 5 seconds increments) and value of number of pictures from 1 to 99 or ∞. * It is recommended to use the battery with sufficient power or optional AC Adapter(AC-5c). * It is recommended to use a memory card with sufficient free space and a high speed memory card. What is the function of [Interval Composite (Star Trails)]? A series of continuous images taken at set intervals is merged in such a way that the bright areas remain. Use this function when you want to record the trails of light formed by stars or the moon during nightscape shooting at a fixed position. • Interval: Set the shooting interval from the shortest value (Min.) up to 60 minutes. • Save interval Composite Img. : Sets how the images are saved. [Off]: Saves only the merged image. * The flash cannot be used with this function. * Set the mode dial to Av, Tv, TAv or M.
What is the function of [B (Bulb)] and [T (Time)] ? You can select B (Bulb) and T (Time) for the shutter speed in M mode. B (Bulb): The image continues to be exposed while the shutter release button is pressed. The exposure ends when the shutter release button is released. The exposure ends when the shutter release button is pressed again. * Operation is also possible using the optional cable switch (CA-2). * The following function are not available at [B] and [T] setting. * In either mode, the camera automatically stops shooting once the limit has been reached. ISO 100 to ISO 3200: 300 sec. ISO 3201 to ISO 25600: 30 sec. * When [Slow Shutter Speed NR] of the [Shooting] menu is set to [On], noise reduction processing is carried out depending on the combination of the ISO sensitivity and shutter speed setting. If this is the case, it takes longer time to save the processed image than usual. * When using B/T, and [continuous Mode] is set in the [Shooting] menu, B/T is canceled, and the shutter speed for continuous shooting is set to 300 seconds. If [Continuous Mode] is set first, B/T cannot be set. What is the function of [Slow Shutter Speed NR] ? When [Slow Shutter Speed NR] of the [Shooting] menu is set to [On], noise reduction processing is carried out depending on the combination of the ISO sensitivity and shutter speed setting. If this is the case, it takes longer time to save the processed image than usual. How to operate [ND Filter]? You can decrease the brightness by using ND filter, so, it is useful that when you like to slower the shutter speed without changing the aperture. Off: The ND filter is not used. Auto: The ND filter is used when the exposure is outside the linked range. The ND filter is used if the icon is displayed on the shooting screen when the shutter release button is depressed halfway. The ND filter is not used in P and M modes. On: The ND filter is always used. The icon is displayed on the shooting screen. * If [ND Filter] is set to the Fn1, Fn2 and Effect buttons in the [Key Custom Options] menu, [Off], [Auto] and [On] for the ND filter can be switched with button operation only. What is the Effect function? The settings such as the hue can be changed to take distinctive images. • Black & White: Takes a black and white image. • B&W (TE): Adds tint to black & white images. • Hi-Contrast B&W: Takes images with stronger contrast than [Black & White]. Makes it possible to take images with a grainy feel, such as that created by using ultra-high-sensitivity film in a film camera or by push processing film at the development stage. • Cross Process: Takes images with tones that differ from the actual colors. • Positive Film: Takes highly saturated images like those taken with positive film. • Bleach Bypass: Takes images with low saturation and high contrast. • Retro: Takes images that look like old photos. • Miniaturize: Takes images that make the landscape look as if it has been miniaturized. The position and range of blurring in the image can be set. • Shift Crop: Cuts out the upper or lower area of the image with a ratio of width to length of 1:1 when the camera is held vertically. • High Key: Takes images with a bright atmosphere. • HDR Tone: Takes images finished like a painting with enhanced fine contrast. • Clarity: Takes images with enhanced subject texture and surface details. • Brilliance: Takes images with adjusted subject brilliance. • Slight: Takes slightly colored images. • Vibrant: Takes images with quaint and vibrant shades of color. • Bright: Takes sharp images. • Portrait: Takes images with optimum color for human skin. * If [Effect] is set, the setting for [Image Settings] are invalid. * Settings made in [Effect] are not applied to RAW images. Set [Continuous Mode] of the [Shooting] menu to perform continuous shooting. The autofocus is fixed in the first frame. * If the shutter release button is pressed fully while pressing the AF button, continuous shooting can be performed following the [C-AF Continuous Setting] of the [Key Custom Options] menu. * The maximum number of pictures that can be taken continuously for one press of shutter release button is 999. * If the [Picture Format] of the [Shooting] menu is set to RAW or RAW+, the continuous shooting stops when the camera memory capacity for processing reaches full. How to set the noise reduction? In the [Shooting] menu, select [ISO Setting/NR], then you can select [Off], [Auto] or [Manual]. If the [Manual] is selected, you can set each sensitivity for [Strong], [Medium] and [Weak]. What is [Focus Assist] function? Intensifies the outlines and contrast inside the area, making it easier to adjust the focus. [Shooting] > [FA/Move Target] > [Fn2 ]> [Focus Assist Setting], following setting can be set. [MODE 3]: Inverts black and white for MODE 1. Does GR II have a function of [Multiple Exposure shooting]? Yes it does. It takes images while merging them together. Up to five images can be merged. It is also possible fine setting such as below. * Merged images while adjusting the exposure value depending on the number of images. * Saves each unmerged image. * Saves each merged image. * Can retake the last captured image. In the [Shooting] menu, you can select [Multiple Exposure Shooting]. Can we adjust the intensity of flash? Yes you can adjust it in [Flash Exposure compensation] of the [Shooting] menu. The intensity can be set in the range from -2.0 EV to +2.0 EV in increments of 1/3 EV. * When the flash mode is set to [Manual Flash], the value set for [Flash Exposure Compensation] in invalid. * If the ISO sensitivity is set to [Auto], the range of the flash light will reach is approximately 20 cm to 3.0 m from the front edge of the lens. The intensity of the internal flash can be set for when the flash mode is set to [Manual Flash]. To set amount of intensity, select [Manual Flash Amount] in the [Shooting] menu. You can select from following fractions of the flash intensity. [Full(1/1)], [1/1.4], [1/2], [1/2.8], [1/4], [1/5.6], [1/8], [1/11], [1/16], [1/22], [1/32] and [1/64]. Movies with sound can be recorded. Movies are recorded as MOV files. The frame rates (frames/second) can be selected depend on the [Still Image Size] setting. * If the camera is operated while shooting, the operation sounds are also recorded. * The following functions are not available in Movie mode. Flash, FA(Focus Assist) and Move target. * Each movie can be a maximum of 25 minutes long or up to 4 GB in size. * The maximum recording time per shooting depends on the capacity of the memory card. Shooting may end even before the maximum recording time is reached. * Use a memory card of speed Class 6 or higher for recording movies. * Use the battery with sufficient power. * Recording format is MOV (MPEG-4 AVC/H264, with monaural sound). Which OS are confirmed function with USB(PC) connection. Following OS are confirmed function. How to transfer images to PC? Connect the camera to PC with the USB cable that contained with camera. The PC then recognized the memory of the camera automatically as the removable disc.. Double click the icon of the removable disc to open the folder, and copy the image file to PC. * You can transfer the image from camera to PC without any software. Can this camera use as PC camera? Is there any application software included with the camera? The [Digital Camera Utility 5] is contained in the CD-ROM for edit the image and develop the RAW file. * The software for transfer the image is not included. Does the camera support the "PRINT Image Matching III"? Does the camera support the [PictBridge]? Can cable switch be used for GR II? Yes. It can be used optional cable switch [CA-2]. It is capable with B(Bulb) and T(Time) exposure. Can the common filter be used for GR II? Yes. It can be used 49mm common filter with Hood & Adapter GH-3 (optional). * The filter cannot install to the camera directly, the GH-3 is crucial item to use filter for GRll. * If you use thicker filter, the hood may not be installed on top of it. What is the Wide Conversion Lens GW-3? The GW-3 is the wide conversion lens(x0.75) for GRll/GR. It is used with optional Hood & Adapter GH-3 as a set. * Set [Conversion Lens]of the [Setup] menu to [Wide] when using the conversion lens. * The GW-1 and GW-2 which are used for former GRs (GR Digital, II, III and IV)　are not usable for GRll/GR because of the diameter of the Adapter. Can movies be watched on a television with High-definition movie? Yes. You can watch the High-definition movie by using a commercially available HDMI cable (Type D) to connect the camera to a device with an HDMI terminal. * The HDMI cable is not included in the kit. * When connect HDMI cable to the camera, the camera will be set at Play back mode and the LCD monitor will be turned off automatically. Is there any cable for connect analogue TV? Yes, there is optional AV Cable (AV-1). It can be selected from NTSC system and PAL system.